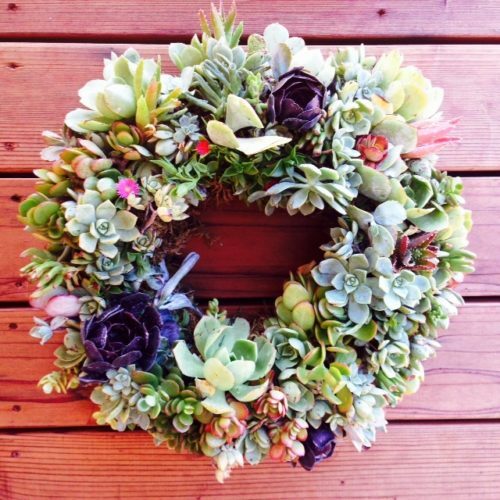 Jayne Devencenzi will be teaching 3 upcoming Succulent Wreath Workshops. Cost: $80/person, 8 students per class maximum. 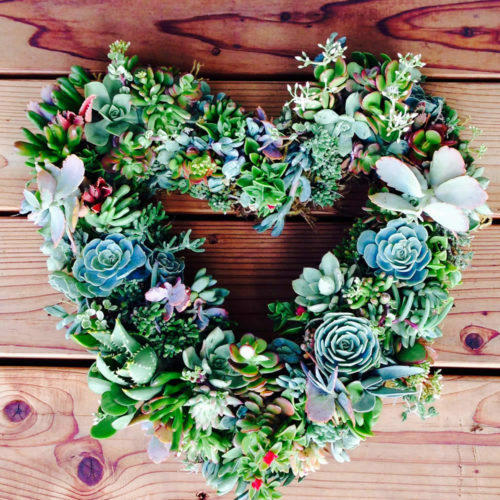 In the succulent wreath class, your $80 fee provides all the succulents and materials needed to make a living 15″ succulent wreath. Succulents are drought tolerant and very hardy. These wreaths can last for years with minimal care. Enjoy the hilltop setting of Jayne’s home outside San Luis Obispo. Refreshments provided. You’ll wander through her garden, clip succulents, and make your own succulent wreath. If you have succulents you can bring to share, please do so, as it is always nice to have a larger variety. Jayne’s classes fill quickly; be sure to sign up early. Consider giving the gift of a Succulent Workshop to a friend or family member. It would be a unique, meaningful and fun gift…it’s guaranteed to put a smile on your special someone’s face and you’d be supporting a local artist. 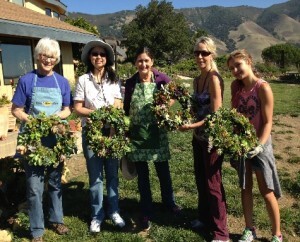 Classes meet at the hilltop setting of Jayne’s home outside San Luis Obispo. Or schedule your own “succulent party”! Invite friends and/or family! Plan a fun birthday party, unusual bridal shower or great family get together! Contact Jayne to find out more.